Michael Ferriell Zbyszynski is a composer, sound artist, performer, and teacher in the field of contemporary electroacoustic music. Currently, he is Assistant Director of Music Composition and Pedagogy at UC Berkeley's Center for New Music and Audio Technologies. Playing flute, saxophones, clarinet, Yamaha WX-7, live electronics, or things made from coffee cans and PVC, he has appeared with Respectable Citizen, Roscoe Mitchell, Myra Melford, Frank Gratkowski, the Berkeley Symphony Orchestra, the Merce Cunningham Dance Company, Frances-Marie Uitti, at the Other Minds Festival, the Oregon Bach Festival, the Getty Center, and the Montréal Jazz Festival, and is looking forward to a residency at the Montalvo Arts Center. He holds a PhD in composition from the University of California, Berkeley and studied at the Academy of Music in Cracow, Poland, on a Fulbright Grant. 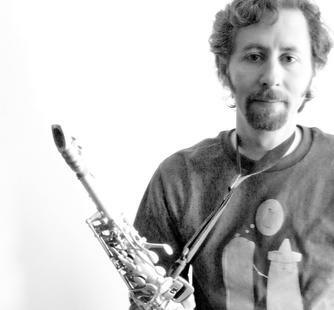 He has taught at the Universities of California Berkeley and Irvine, Berklee College of Music, and Northeastern University, and can be heard on the ARTSHIP recording label.